The 2018 Halloween Costume Screenshot Contest! 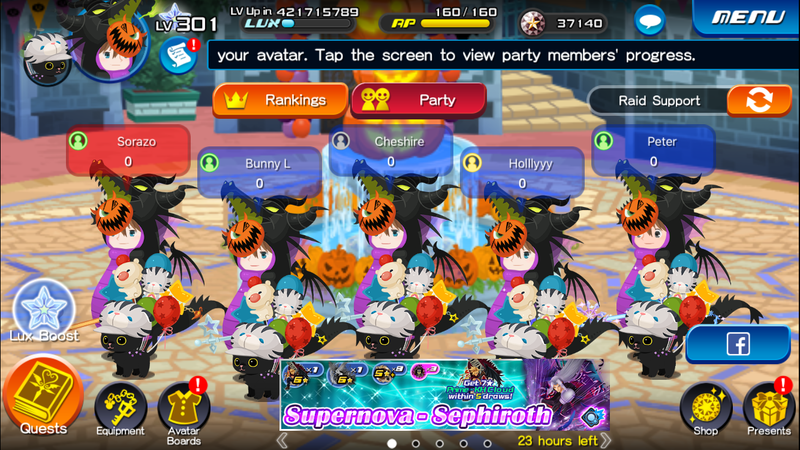 ★ Announcing the KHUX Halloween Screenshot Contest where everyone's a winner! 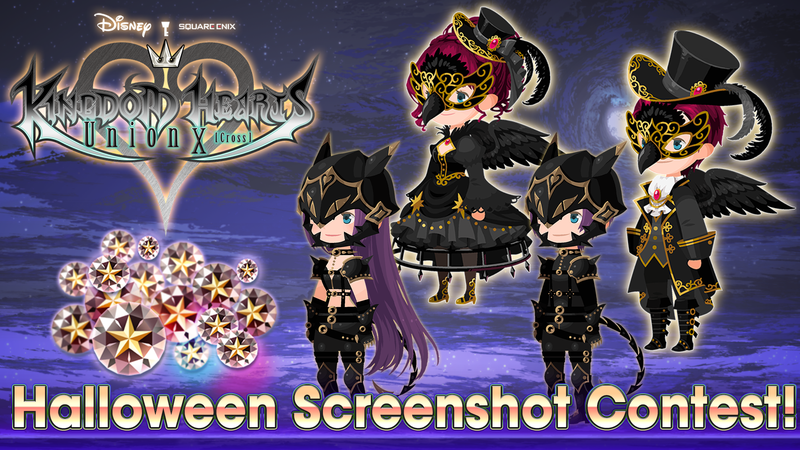 Use avatar parts to create the perfect Halloween costume and submit a screenshot for a chance at winning 1000 Jewels for every member of your party! Additionally, if we reach a total of 10,000 retweets before the campaign end date, all players will receive 6 Fantasia Mickey B Medals and 10 Magic Mirror Medals! Get your party together and use avatar parts to create ghastly, adorable, or even hilarious Halloween costumes and take a screenshot of your party wearing their costumes! At the end of the contest entry period, the KINGDOM HEARTS Union χ[Cross] team will select 5 party winners! Winners will be selected based on overall creativity and originality. The 5 party winners will win 1000 Jewels for every member of their party! In addition, by retweeting your favorite screenshot submissions (tweets following the entry guidelines below) and the official Screenshot Contest tweet, you can help unlock fabulous rewards for the entire community! 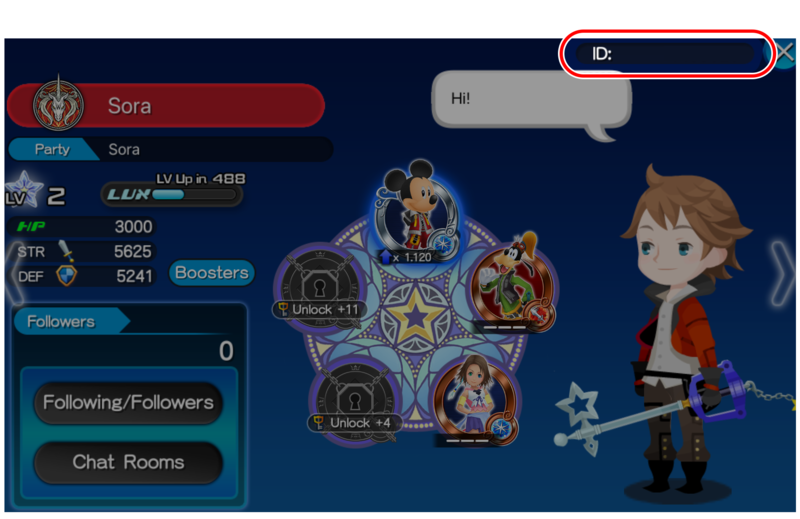 10,000 retweets by the end of the campaign earns all players 6 Fantasia Mickey B and 10 Magic Mirror Medals! Read on for more information on how to participate! 1. 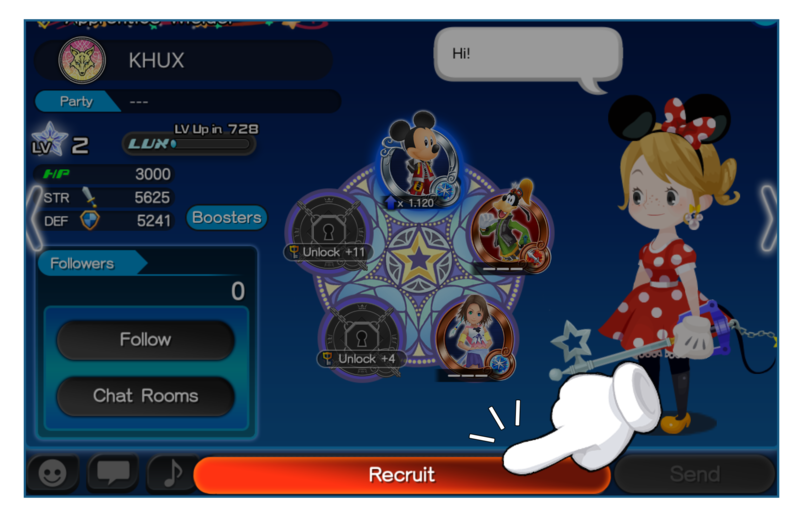 Follow the official KHUX Twitter account (@kh_ux_na). 2. Take a screenshot of your party wearing their Halloween costumes. Altered screenshots will not be accepted. *Please note only one party entry will be considered per day. *Multiple entries per day from the same party will not be considered, so be sure to coordinate with your party! The KINGDOM HEARTS Union χ[Cross] team will select winning entries based on overall creativity and originality of the Halloween costume your character and party members are wearing. We will contact winners on or by Oct. 31, 2018 via DM on Twitter, so make sure you’re following the official Twitter account (@kh_ux_na)! If we are unable to get in contact with a selected winner within 48 hours of contacting them, we will automatically select another winner. We have more Twitter events planned for the future, so if you aren't already following, there's no better time to start! We are happy to announce that Proud Mode Quests up to Quest 700 will be available as of Oct. 25, 2018 12:00 a.m. (PT) / 7:00 (UTC)! Even better, in this update you can obtain a Sun Gem and a Moon Gem, rare gems necessary for leveling up certain Keyblades! The KH II Kairi [EX+] and Xion [EX+] Deals Return! ★ Don't miss this chance to get KH II Kairi [EX+] and Xion [EX+] in 5 draws within their respective medal deals! Heads up, KH II Kairi [EX+] and Xion [EX+] are back and guaranteed within 5 draws in this great deal! ・They will gain a new trait and one Special Attack Dot. NOTE: If either medal is already strengthened to 5 Special Attack Dots, the Trait Medal will unlock the Special Attack Bonus. Trait Medals can also re-roll Special Attack Bonuses if the Bonus is already unlocked. ・In Kairi's Deal, you are guaranteed to receive 6★ KH II Kairi [EX+] within 5 draws! 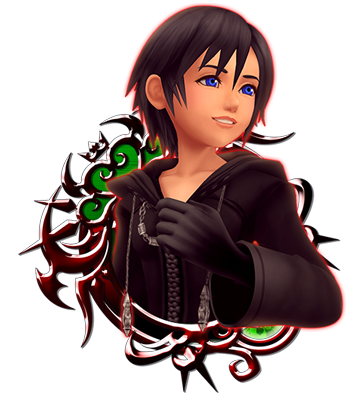 In Xion's Deal, a 6★ Xion [EX+] is guaranteed within 5 draws! ・You’re guaranteed to get one corresponding Trait Medal each time you draw from their respective banners! ・You're guaranteed to get one Tier 6 or 7, 7★ Medal per draw from these Medal Deals! Check below for a full list of the possible skills your Tier 6 or 7, 7★ Medal could come with! 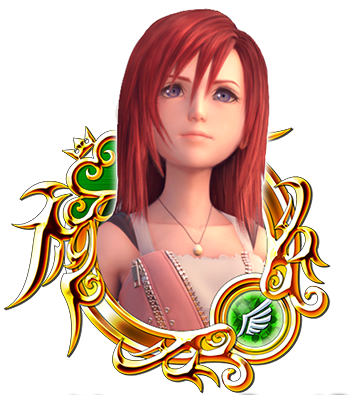 ・Boosted KH II Kairi [EX+], Xion [EX+]: 1,000 more base Strength and Defense. Recruit New Players and Earn Rewards! ★ Make new friends! Recruit new players to your party and receive rewards! Lend new players a hand and recruit them into your party! If you have at least one new player in your party at the end of the campaign period, all party members will receive 1 Gold Ticket! Eligible Members of parties with at least one new player at the end of the campaign period. This includes any new players who joined before the campaign started. Details ・ Players whose Player ID numbers are "4130612" or later* will be considered new players during this campaign. * Players who created their account after Jun. 1, 2018 12:00 a.m. (PT). Nov. 5, 2018 12:00 a.m. to 2:00 a.m. (PT) / Nov. 5, 2018 8:00 to 10:00 (UTC). Please do not change parties during the above period. ・ Rewards will be sent to eligible players on Nov. 6, 2018 12:00 a.m. (PT) / Nov. 6, 2018 8:00 (UTC). 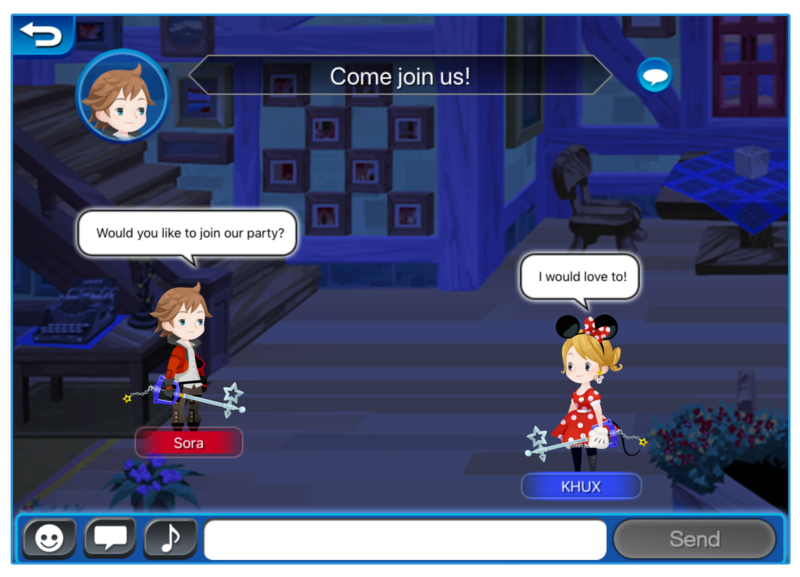 Use the Community feature in χ3 [ex tres] mode to recruit party members or join a party! ▼Select the "Party Recruitment" category! ▼Create a chat room, or join someone else! ▼Party Leaders can invite new members to their party! * NOTE: In order to join a party, you must be in the same Union as the party. Please note that you will not be able to switch Unions between Sunday 12:00 a.m. to Monday 4:00 a.m. (PT) / Sunday 7:00 a.m. to Monday 11:00 (UTC). I wonder if there's a Homestuck fan on SENA staff. An update on 1025 saying to recruit members whose IDs start with 4130612 or later?